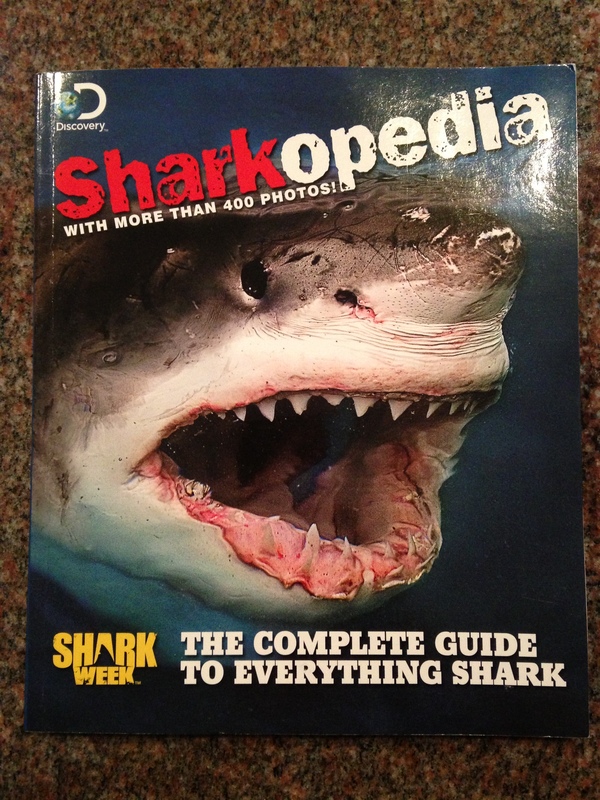 Is it just me or does it seem like it’s Shark Week all the time on Discovery? Not that I’m complaining at all, just an observation. My husband thinks I’m crazy but I’m pretty sure they have it more than one time a year. 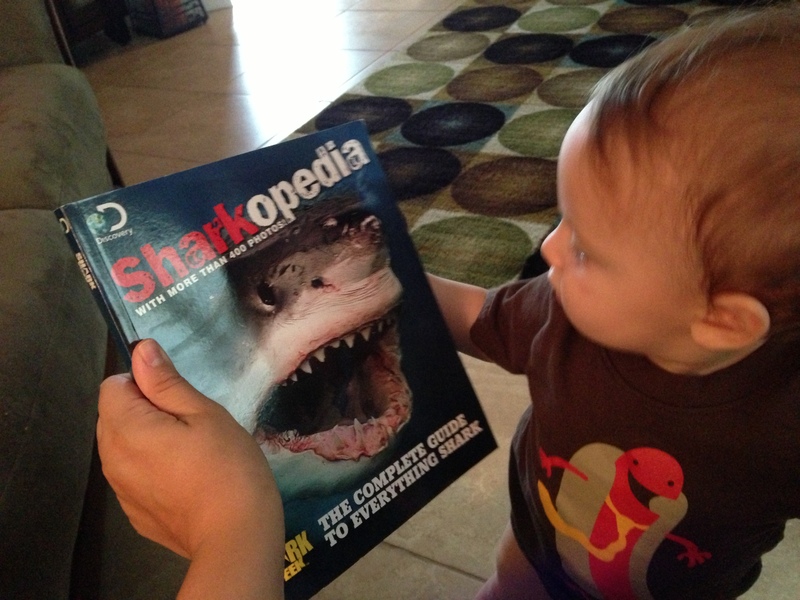 Today during our book time Hucklebaby and I checked out Sharkopedia – The Complete Guide to Everything Shark. 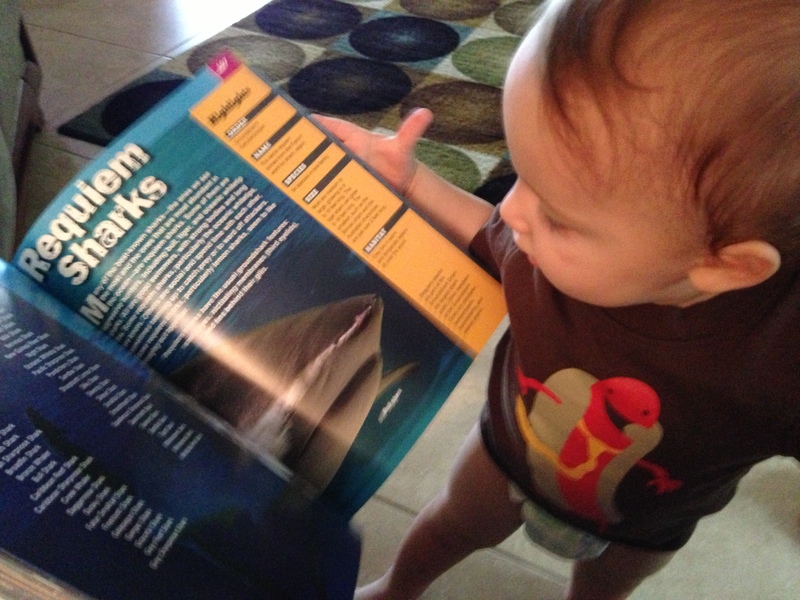 It’s a pretty cool book… I can’t wait till he is a little older to be into Sharks. Maybe that will keep him out of the big bad ocean. I digress. How horrifying is this picture? This is exactly what I know is under me anytime we go to the beach. No one believes me but I know he’s there. There are big beautiful pictures on every page which is great for my little guy. I wish I knew what he was thinking when we were talking about them. He loves flipping the pages to look at the different pictures. I made sure he didn’t turn to anything too scary. 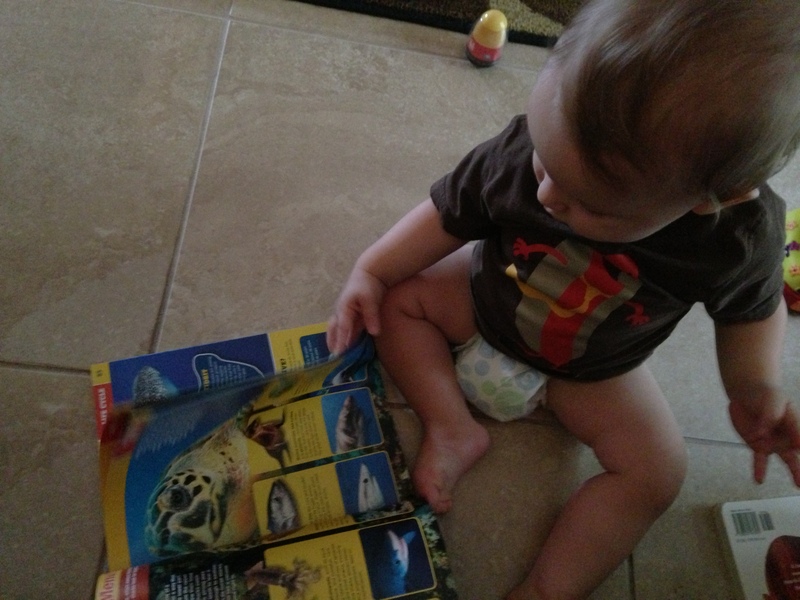 I loved when he flipped to a sea turtle page…because I love sea turtles. Then I saw what the page was titled. “What’s on the Menu”. He’s gonna love this stuff…cause he’s already such a little boy. I know this will be one of his favorite books. I can already imagine him spouting off shark facts over dinner one night. I love it. Just don’t look at this picture. 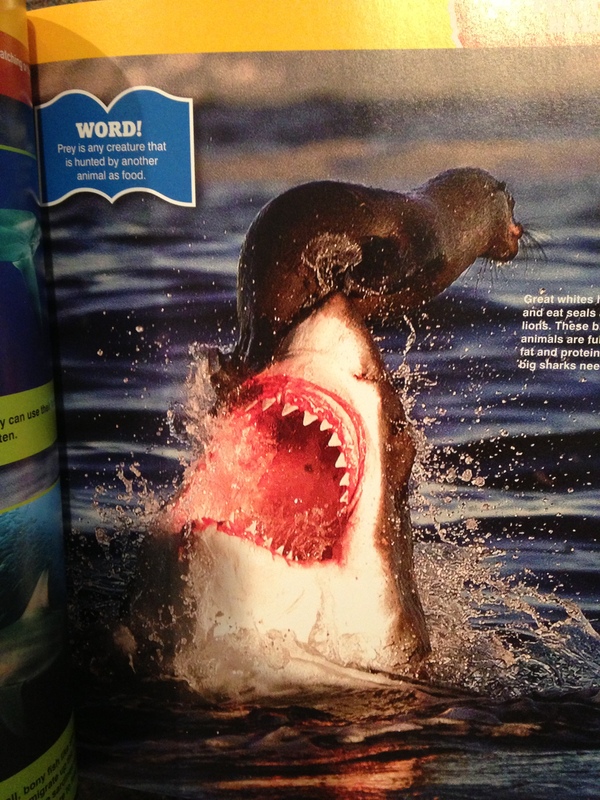 Sharks are mean.